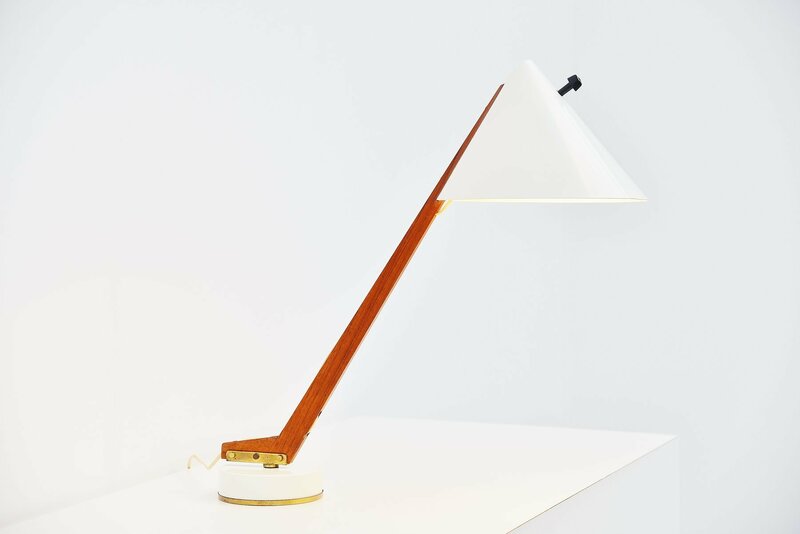 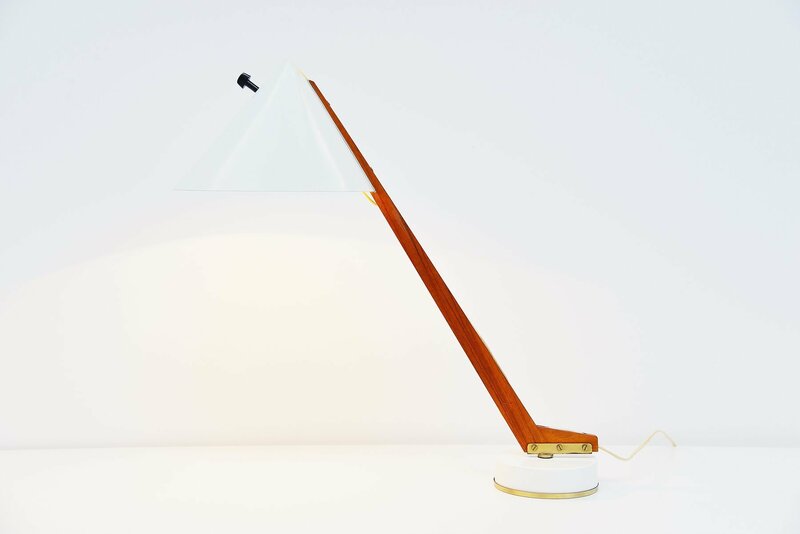 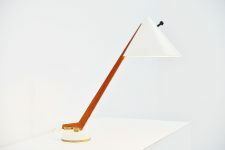 Very nice swivel desk or table lamp designed by Hans-Agne Jakobsson AB for Markaryd, Sweden 1960. 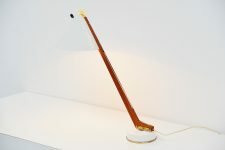 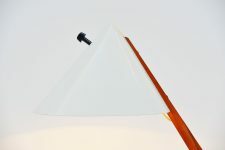 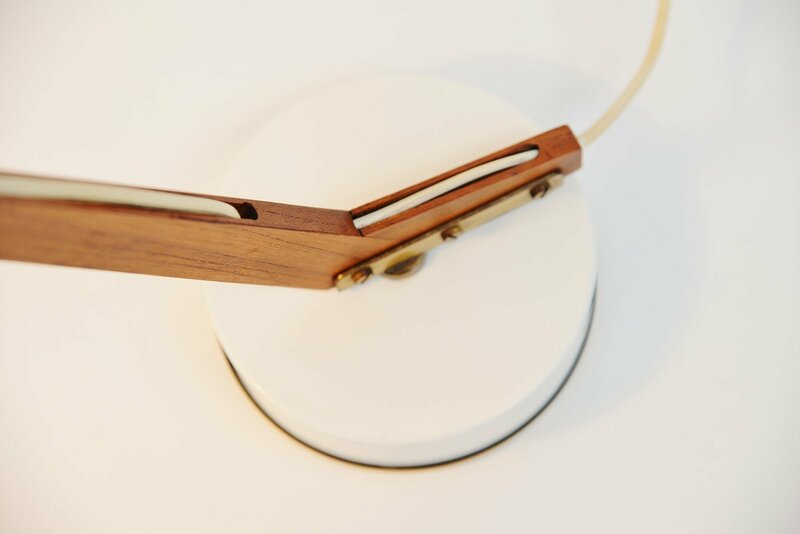 This desk lamp swivels on its round base which is very nice to switch the light to another side of the desk. 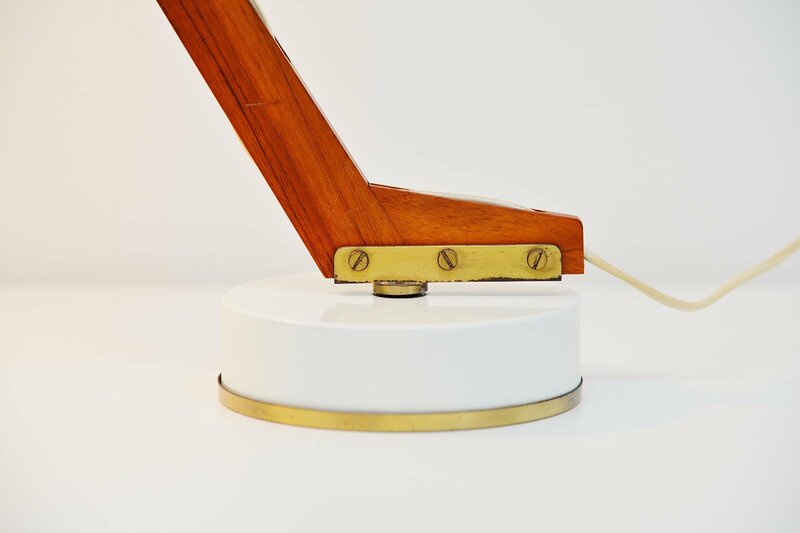 The base is weighted and the metal parts are white lacquered, it has a teak wooden arm and nice brass details. 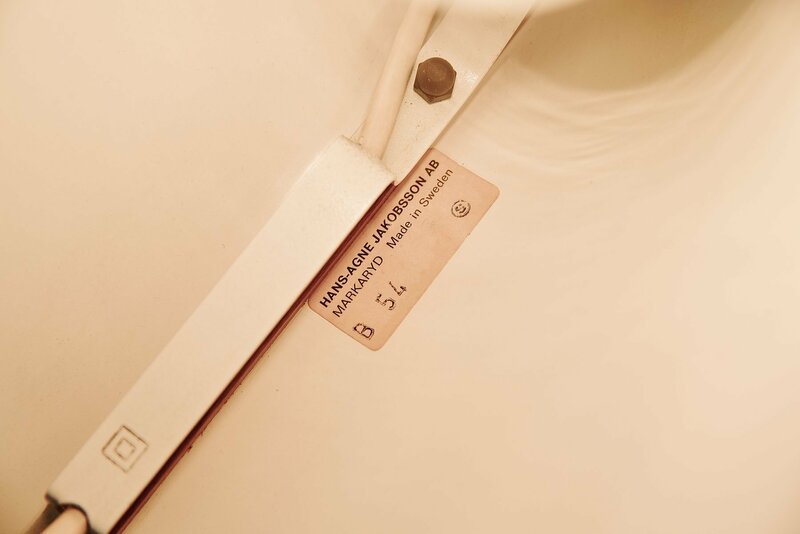 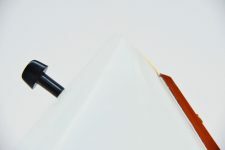 The black on/off switch on the shade is a typical detail for the Markaryd lamp. The lamp is in excellent original condition.